Where can I find dynamic, intimate and exquisite dining? Blink and you may miss the entrance or not even know it's there. Our taxi stopped right outside the restaurant and we still looked up and down the street trying to find it. Luckily, Pepe spotted the understated door with the word IDES. The interior is equally discreet, oozing intimacy with its dim lighting and leather topped tables. 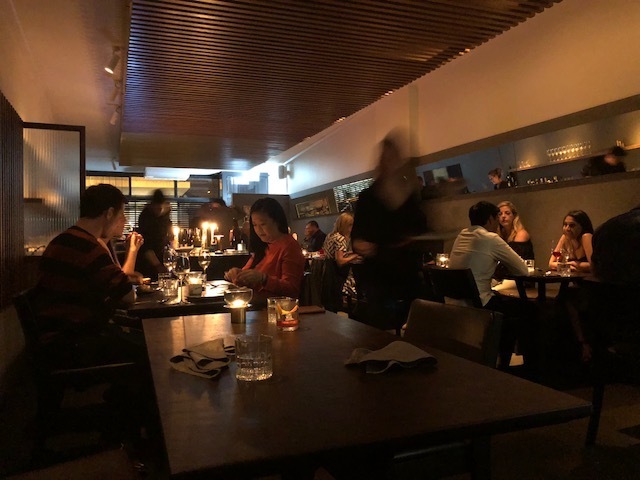 The menu at Ides is a choice of four or six courses, which will generally take an hour or two respectively, but this can be hurried or as leisurely paced as you please. The dishes change constantly as chef, Peter Gunn likes to keep it spontaneous as I was told on the phone. So, you may not know what you're going to get on the night but it does keep things interesting. Having had a week of indulgence we opted for the four course set menu with the paired wines. There was an option of two additional appetisers, which didn't go astray with a glass of champagne, of course. 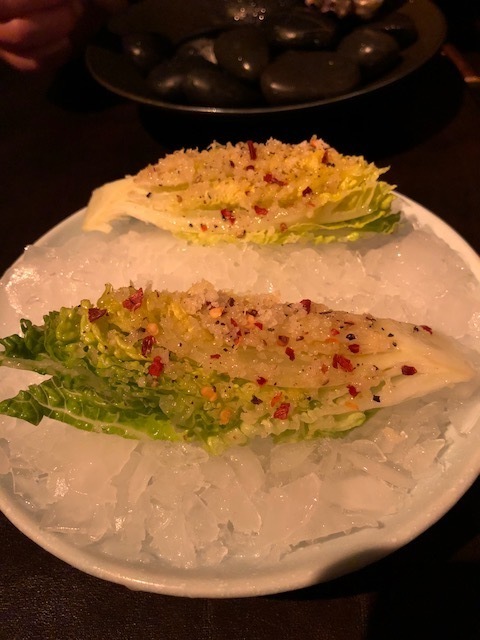 We enjoyed a beautifully presented single rock oyster from Merimbula ($8 for one) and a wedge of cos lettuce flavoured with various sprinklings including chilli flakes and similarly priced. 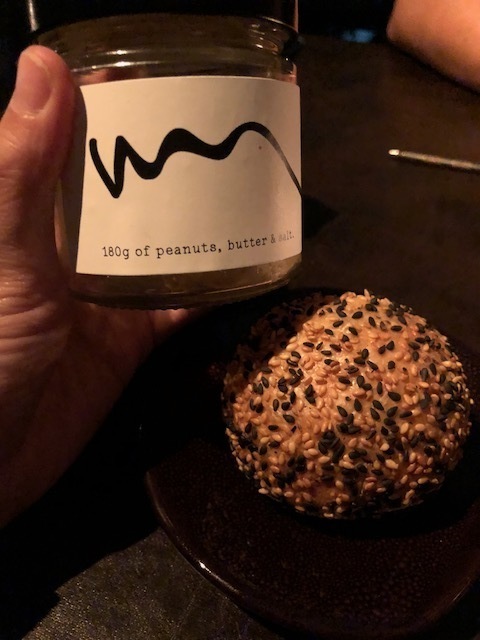 Next was the house-cultured peanut butter inspired by Gunn's childhood presented in a glass jar with a roll of sesame-covered sourdough. I had high expectations after overhearing the couple beside me requesting a jar of this insanely good peanut butter to take home. It is deliciously smooth, and with the added indulgence of butter and salt just to my liking, I may have indulged more than my dinner date that night. 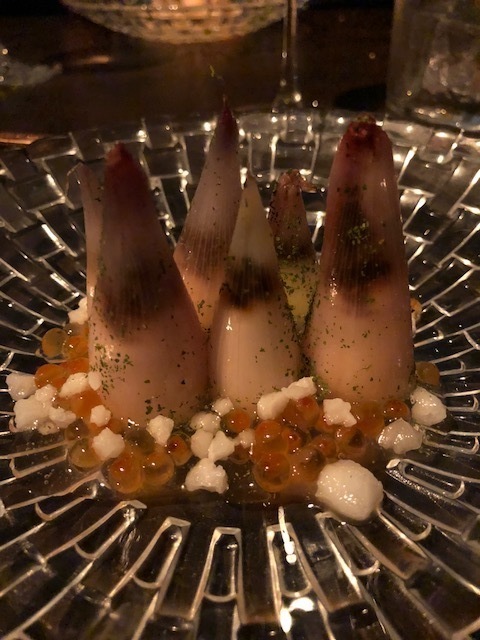 The first course of cream cheese-stuffed shallot tips with black garlic was beautifully presented like mountainous peaks in an edible food planet. It looked too pretty to eat but at first bite I was hooked. This was followed by the perfectly cooked kingfish served in a tasty tomato anchovy sauce paired with an orange coloured wine. It did have the taste buds thinking. 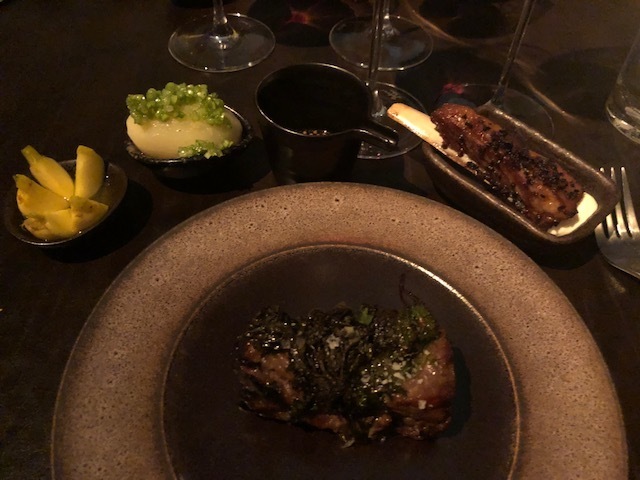 The third course required a waiter per person presenting the lamb neck then with synchronised precision laying out the fanfare of small dishes of pickled turnips, boiled potato, grain mustard gravy and a single lamb rib. The wine pairing for this dish was a red and a sake, which had my dinner partner and I on opposite sides as to which went better with the meal. I say the red. The sommelier was knowledgeable in her wines and provided food for thought, as well as pushing our wine taste boundaries. 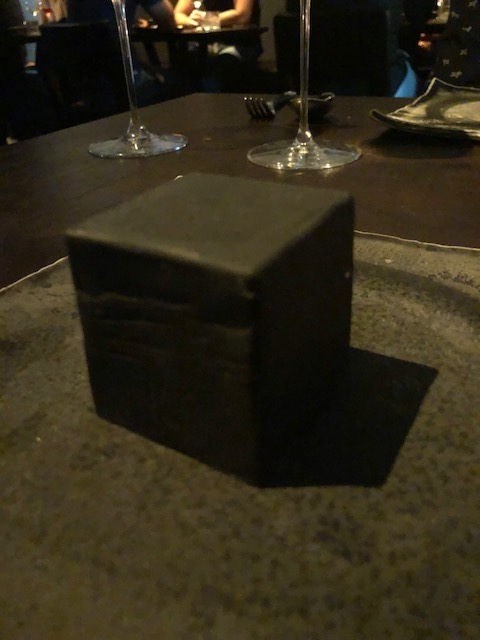 The last dish was dessert which came as a black cube on a black plate. I was intrigued as to the contents which I was assured contained chocolate, mandarin and honeycomb. Tapping the cube, the chocolate broke away to reveal the contents inside. The black chocolate had hints of liquorice but was not overpowering to my surprise, and was a nice way to finish. As we headed out, the elderflower and strawberry dessert was getting plated and looked quite the masterpiece. Ides have amazing attention to detail and presentation to match for this fine dining restaurant. Each course was served with unique ceramic plates and service was attentive, with the exception of my cocktail arriving at the end of the appetisers, rather than the start. In future I'll heed the advice of my dinner partner to stick to wines. In conclusion, Ides would be a somewhere I'd visit again. It ticks the boxes for that special occasion and with a notable chef who worked at Attica, ranked in the World's 50 best restaurants, you're in good hands.